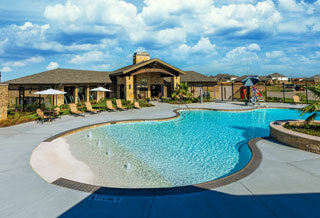 The Miramesa recreation complex is located in the heart of the community giving residents easy access to idyllic summer days by the pool, afternoons at the playground and relaxing evenings at the well-appointed, 3,000-square-foot clubhouse. 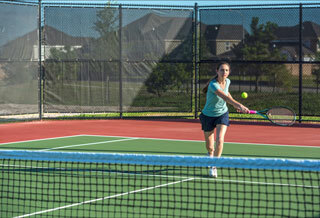 It has been designed to appeal to residents of all ages, with everything from swimming, to tennis, to sand volleyball. 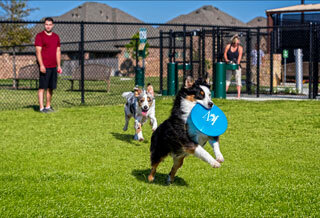 Residents can keep fit at the clubhouse's exercise facilities and pups can run leash-free at the community dog park. 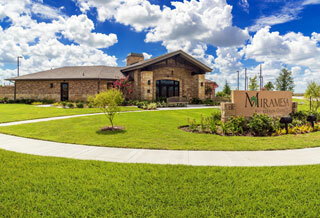 Miramesa residents have the unique opportunity to enjoy amenities the day they move in. In addition to Miramesa's on-site recreation center, residents also have full access to the entire Stone Gate & Canyon Lakes West family of amenities. The Stone Gate Recreation Center features a Jr. Olympic swimming pool, full facility luxury clubhouse, exercise equipment room, covered basketball pavilion, lighted tennis courts, and a sand volleyball court. The Canyon Lakes West Recreation Center has a Jr. Olympic swimming pool, luxury clubhouse, exercise equipment room, toddler splash pool and children’s playground. 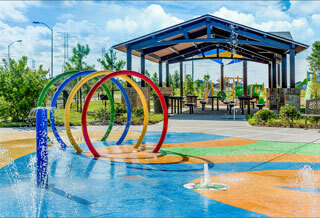 Open year-round, weather permitting, SplashPad Texas at Stone Gate has water slides, geysers, beach-entry swimming pool and a deluxe playground. Golf lovers will enjoy their benefits at Sterling Country Club in Stone Gate. This includes preferred pricing on green fees and preferential tee times, just for residents. For more information, visit www.sccathn.com or become a fan of their Facebook page here.